Ok. I am going to be very honest here. I have been out for lunch with the inlaws and have had three glasses of very nice red wine. So you have been warned. The poll is closed now and I have winners. Remember: The person with the most votes = Ten pdf charts or a 45.00 euro voucher to use as they wish in my shop: They can hold on to it or use part of it etc. Second Prize: Five PDF charts of their choice. All other entries: Two pdf charts of their choice. And if you have stitched the chart and have shown me a picture but you were too late to enter, then please include yourselves in the two pdf chQarts of choice. When you claim your charts, please email me on stitchersanon@outlook.com and put as the title heading 'Winner of' and however many charts you are entitled to or if you are entitled to the voucher, add that. All other entrants can enjoy two charts of their choice. You can see the full range on my website www.stitchersanon.com though if you leave it until the end of the week there will be three new designs up. Congrats to the winners! I WILL get round to stitching it, in a color that pleases me... Still sick... Hugs! 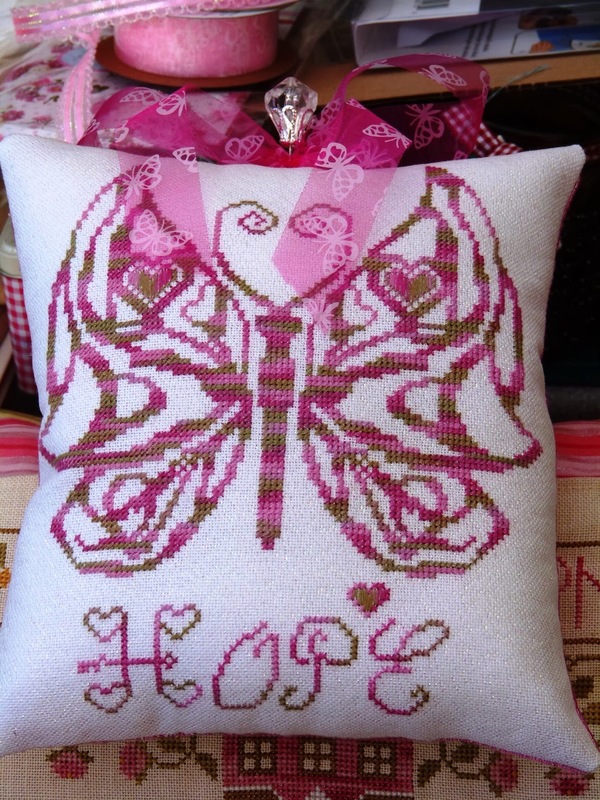 Congrats Christina and Mouse, gorgeous cushions, the butterfly was wonderful to stitch. So glad everyone was a winner! They're all lovely! Congratulations to all the winners, I'm sure they will be delighted with their prizes. Congratulation to all your winners.